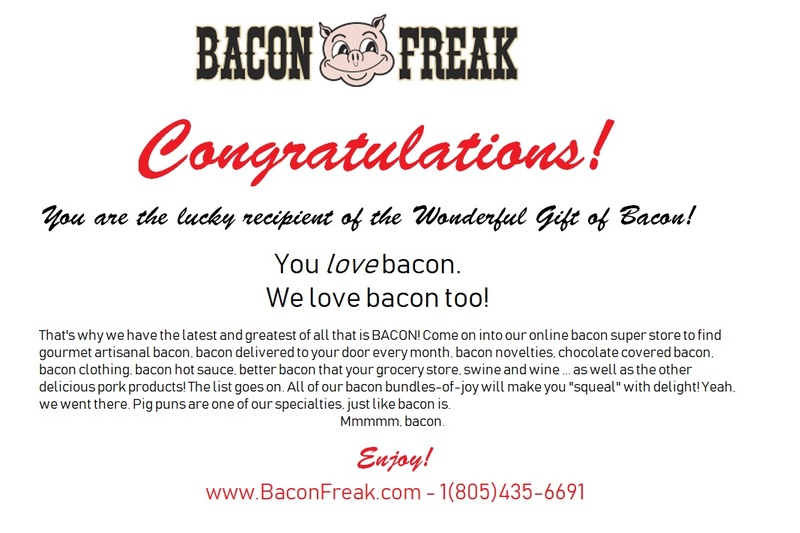 Looking for something fun to do while you're eating bacon? The pig dice game Makin Bacon is perfect for your bacon-themed party, or a night of fun with the whole bacon-loving family. This "addictive" game is for 2-6 players. Roll the dice to make combinations and let the points add up. Roll too much and lose it all! Go for a "Makin' Bacon" and score big. Perfect for your bacon-themed party, or a night of fun with the whole bacon-loving family.